Is your projector blacking out or the Colour not the same? Waste no time by considering one of these bundles for your classroom. Take classroom collaboration to another level with the Epson EB-710Ui laser ultra–short throw projector. 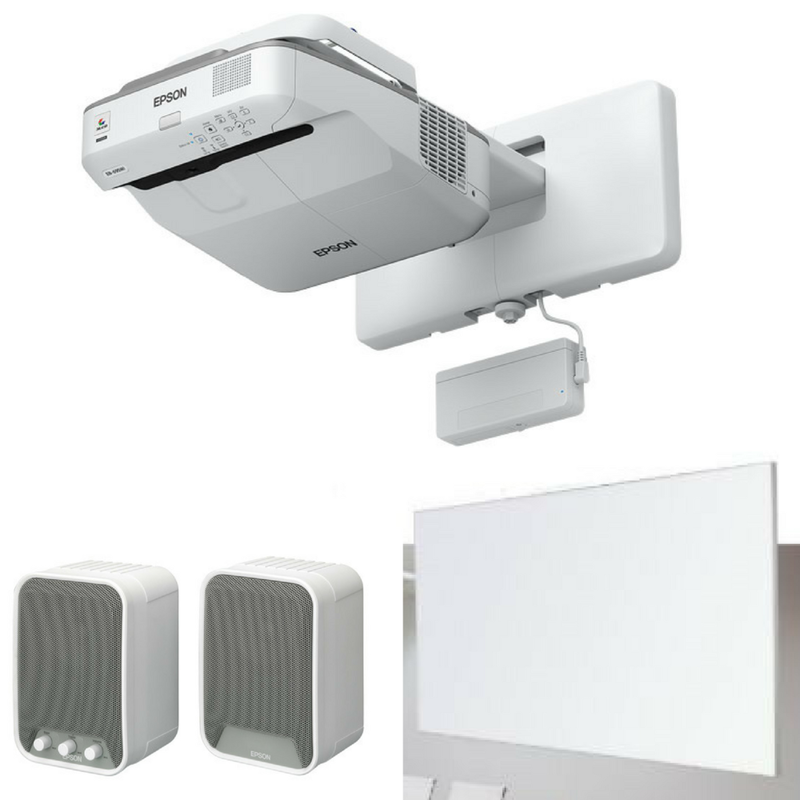 Designed for today’s BYOD classroom, this projector displays 100" images at native WUXGA Full HD resolution. Offering 3x Higher Colour Brightness1 than competitive models, Epson® 3LCD projectors ensure bright, vivid images. It also features wireless functionality (module sold separately) and advanced connectivity, so teachers can share content from multiple devices, including Chromebooks – up to four at once with Moderator software. Featuring breakthrough laser technology, the EB-710Ui provides up to 20,000 hours of virtually maintenance-free operation. One of our Learning Space Staff will be in contact with you shortly. Supported screen size - 60"-100"
Economical Solution for Schools on a Tight Budget but wanting to give Students a Digital Classroom Experience. Contact our Learningspace Team to request an Onsite Visit, 5 Year warranty upgrades or further information on Installation Bundles.